The Information Provided Here Will Describe How Medical Information about Patients Examined and/or Served at a DR. STERN’S VISUAL HEALTH CENTERS Office May Be Used and Disclosed, and How a DR. STERN’S Patient Can Get Access to That Information. Please Review This Information Carefully. DR. STERN’S VISUAL HEALTH CENTERS are sincerely and genuinely committed to protecting the privacy of our patients and their medical information. 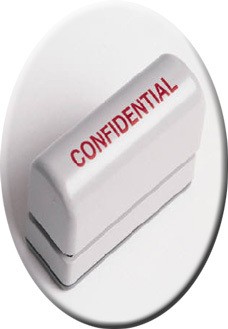 We are required by law to maintain the confidentiality of all information which may identify a patient and any health-care services he or she has received in the past or is now receiving, as well as all information regarding payments for those services and other financial information. We are also required to give patients notice of our privacy practices and our legal responsibilities regarding their rights. We disclose information only when absolutely necessary — and then, only to appropriate persons or companies involved in the delivery or administration of those services and related matters — and those other persons or companies are bound by the same patient-privacy rules as we are. We require those other persons and companies to protect our patients privacy, too. FOR TREATMENT: We may receive information, for example, about a patient from Medicaid or Medicare, the patient’s primary-care physician or the patient him- or herself. In order to provide the services called for, we may share this information among our various departments to conduct the “business of our business” — that is, to schedule and perform comprehensive eye examinations, to evaluate the findings of those exams and recommend appropriate care and treatment, to produce and/or dispense corrective lenses called for (eyeglasses and/or contact lenses) and, when appropriate, to refer patients to another practice for follow-up care and treatment. FOR PAYMENT: We provide appropriate coverage information to our Network physicians when Health Plan members or another party representing them calls to schedule an exam. We may contact the Department of Health or the Health Plan itself to confirm member eligibility for services. DR. STERN’S VISUAL HEALTH CENTERS will share information among its offices or departments for the purpose of determining eligibility, pre-authorization, payment, enrollment data or providing services to a patient, and we may also use or disclose information to obtain payment from third parties who may be responsible for payment, such as Health Plans or other insurance companies. FOR HEALTH-CARE OPERATIONS: We conduct quality assessment and improvement activities, for example, in order to improve the performance of DR. STERN’S VISUAL HEALTH CENTERS overall. We also use information for facility management and strategic planning. TO OTHER PROVIDERS: For example, for their treatment, payment and/or operations support as those activities relate to a patient’s evaluation, care and treatment. TO INDIVIDUALS: To individuals involved in a patient’s care if the patient or legal guardian has given us the name of such person in writing at some point since enrolling in a Health Plan we support. We will also give information about a child to the child’s parent or legal guardian, and we may disclose information to Disaster Relief Organizations such as the Red Cross, when appropriate, so that they can contact the patient’s family if that is necessary. FOR APPOINTMENTS AND SERVICES: To remind a patient of an appointment, for example, or tell a patient about treatment alternatives or health-related benefits available through DR. STERN’S VISUAL HEALTH CENTERS or a Health Plan we are supporting. WITH A PATIENT’S WRITTEN AUTHORIZATION: We may use or disclose medical information for purposes not described in this notice only with a patient’s written authorization. The patient may revoke any authorization at any time, in writing, but only as to future disclosures or uses — not disclosures we have already made which relied on an authorization previously given to us. AS REQUIRED BY LAW: However, we will only do that to the extent and under the specific circumstances provided for by such law. TO PUBLIC HEALTH AUTHORITIES: For activities such as tracking communicable disease, reporting child abuse or for public-health investigations. TO REPORT ABUSE, DOMESTIC VIOLENCE OR NEGLECT: If, for example, we believe a patient is a victim, we may disclose that patient’s information as permitted by law unless we think that would place the patient at risk of serious harm. We will not inform the patient’s personal representative if we believe that would put the patient at risk of serious harm. FOR HEALTH OVERSIGHT ACTIVITIES: We may disclose to health oversight agencies, such as a state Department of Health or Department of Health & Human Services, for activities authorized by law, including audits, civil, administrative or criminal investigations, licensure or disciplinary actions, and monitoring of compliance with law. IN JUDICIAL PROCEEDINGS: In response to court or administrative orders; with subpoenas, discovery requests or other process, after reasonable efforts to notify you or obtain a protective order. TO LAW ENFORCEMENT: To identify or locate suspects, fugitives or witnesses, or victims of crime (with your consent in some circumstances), to report crimes on our premises or in emergencies, or the commission of a crime. TO CORONERS, MEDICAL EXAMINERS AND FUNERAL DIRECTORS: If required by the appropriate authorities, we may disclose information to coroners, medical examiners and funeral directors to help them (1) identify a deceased person, (2) determine cause of death, or (3) as reasonably necessary to permit them to carry out their duties. MILITARY AND VETERANS: If a patient is a member of the armed forces, as required by command authorities. FOR NATIONAL SECURITY, INTELLIGENCE ACTIVITIES, PROTECTIVE SERVICES FOR THE PRESIDENT AND OTHERS, AND STATE DEPARTMENT PURPOSES: To officials as authorized by law to perform their duties and conduct investigations or make medical suitability determinations for foreign service. TO CORRECTIONAL INSTITUTIONS: We may disclose information for the health and safety of inmates and others. FOR WORKERS COMPENSATION: We may disclose to Workers Compensation or similar programs, as required by the federal and state applicable laws. To exercise these rights, see the contact information below. To Obtain a Copy of This Notice, On Request: To request a copy of this Patient Privacy & Privacy Practices notice, a patient must send a formal request in writing. That request may be either typed or, if the patient’s handwriting is legible, hand-written. To Inspect and Request a Copy of Your Health Record: A patient may inspect and request a copy of his or her health record except in limited circumstances defined by federal and state regulations. The copy may be requested by the patient or his or her legal guardian. The request must be made in writing, and it may be either typed or hand-written if the handwriting is legible. If the request is being made by the patient, a copy of the patient’s photo-identification confirming his/her identity and signature must accompany the written request. If the request is being made by the patient’s legal guardian, then a copy of the document giving the guardian legal authority for the patient must also accompany the request as well as the guardian’s photo-identification confirming his/her identity and signature. A nominal fee will be charged to copy your record. The actual cost will depend on how many years back the file goes and the number of pages being copied. If a patient is denied access to his/her record for certain reasons, we will tell the patient why and what his/her rights are to challenge that denial. To Request An Amendment To a Patient’s Record: The request must be in writing and give a reason. We may deny that request if the information was not created by us, not a part of the information that the patient would be permitted to inspect and copy, or if the information is accurate and complete. If we agree with the patient’s request, we will not delete any information already in the patient’s record. We will add the patient’s correction to the record. To an Accounting of Disclosures of a Patient’s Health Information: For purposes other than treatment, payment for health operations; disclosures to you or authorized by you; disclosures incidental to permitted disclosure and certain other disclosures excluded by regulation. To Request a Restriction on Certain Uses and Disclosures: We are not required to agree with your request. If we do agree with the request, we will comply with your request except to the extent that the disclosure has already occurred or if you are in need of emergency treatment and the information is needed to provide the emergency treatment. To Request That We Contact You by Alternate Means: You may request that we contact you by alternate means, (e.g., fax versus mail) or at alternate locations (alternate address or phone number). Your request must be in writing. We must honor your request if it is reasonable. To exercise any of the above rights, or if you have any questions, contact the DR. STERN’S VISUAL HEALTH CENTERS at: 7352 N.W. 34 th Street; Miami, FL 33122; (305) 418-2025; FAX (305) 418-7627 . If you believe your privacy rights have been violated, you may file a complaint in writing addressed to the PRIVACY OFFICER, DR. STERN’S VISUAL HEALTH CENTERS at 7352 N.W. 34 th Street; Miami, FL 33122 . There will be no retaliation for filing a complaint. You also have a right to complain to the appropriate federal and state Department. CHANGES TO THIS NOTICE: We reserve the right to change this notice. We reserve the right to make the revised or changed notice effective for information we already have about a patient as well as information we may receive in the future. We post a copy of the current notice in our offices and on our website. A copy of the current notice in effect will be available at our offices upon request. EFFECTIVE DATE September 1, 2004 .